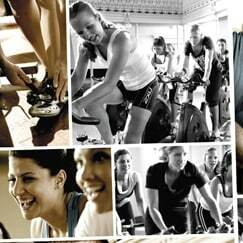 In a 50 minute RPM® class, your instructor will take you through a journey choreographed to inspirational music, incorporating riding positions and speeds to suit the terrain. 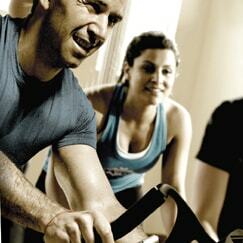 Push yourself to your limit and sweat and burn to reach an endorphin high. 1)At the beginning, the pace is easy and the resistance light, to get your legs warmed up. 2) Speed and intensity then increase as you work towards your top personal pace. You’ll warm up your climbing muscles, hitting a series of full-on hill climbs that test your strength, and cycling time trials that test your endurance. There will be time for recovery, just enough to give you the energy to push through the next challenge. 3)At the end of the class you will finish the journey and ride home together. Recovery is the name of the game, including the all-important stretch. In RPM® you have the ability to control the intensity of the workout, which means riders of all fitness levels and capabilities can work out together. The more you ride, the fitter you’ll become. 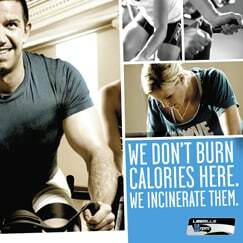 -We recommend you wear comfortable workout clothes to RPM®. Cycling shorts will make the ride more comfortable, but they’re not essential. 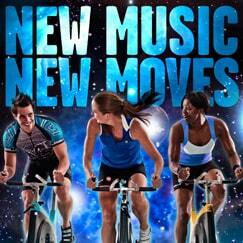 Check out the latest Reebok/Les Mills co-branded range, for the perfect gear. For footwear we recommend that you wear cycling shoes, but check with your instructor if you need more specific help. Apart from that, bring a water bottle and a sweat towel – you are going to get very sweaty!